MSNBC.com reports “A small piece of jawbone unearthed in a cave in Spain is the oldest known fossil of a human ancestor in Europe and suggests that people lived on the continent up to 1.3 million years ago. 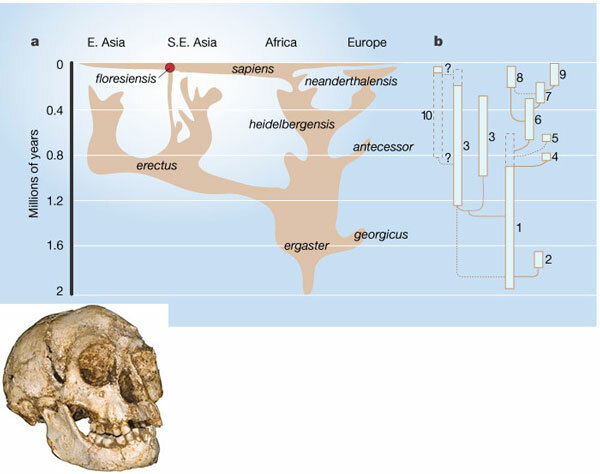 The very unoriginal name of “Homo antecessor” is given to the species of early humanoid this fosil belongs to. Eudald Carbonell, reported his team’s findings in Thursday’s issue of Nature. Much earlier than the 800,000 years ago previously thought to be about the time humanoids migrated out of Africa. This entry was posted in archeology and tagged antecessor, evolution, homo, Human, migration. Bookmark the permalink.